This is the 24-year-old’s first national title and it may take some time to sink in after what has been a tough 18 months with injury troubles. “I’m still trying to come to terms with it, it was quite an emotional finish so to get over the line was pretty amazing,” said a relived Brown. 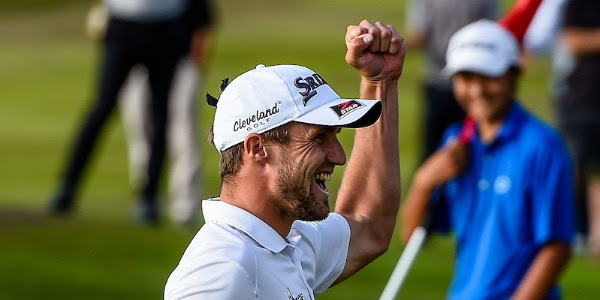 After nearly turning professional last year, he will be pleased with his decision as he now etches his name into the history books of the biggest stroke play event in the country. Christchurch has been a happy hunting ground for the now One Tree Point based Brown having won the Toro Interprovicial Championship with his Northland team in December, to now return to the Garden City and win on the individual stage. The scenes that were produced today wouldn’t have been possible without the class of Kobori who after winning the NZPGA Championship two weeks ago is in the form of his life. Although he finished just short, this was still a great week for the 17-year-old who continues to build an impressive resume. Fellow Cantabrian, Matt McLean took out third place today showing that the strength of golf in the mainland is in a good place. We now turn our attention to the Jennian Homes Charles Tour with back-to-back weeks at the Barfoot & Thompson Akarana Open followed by the Autex Muriwai Open in April.